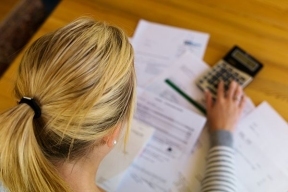 Last week we talked about the various bankruptcy options available to individuals. In this column, we will be discussing the most popular form of bankruptcy and some of the myths surrounding it. So, forget about what you’ve heard. 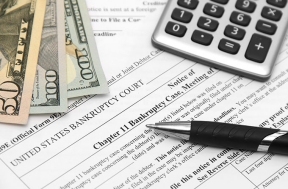 Today, we will be giving you the truth regarding filing for Chapter 7 bankruptcy. Chapter 7 has been around for centuries. Its purpose is to allow individuals or couples to get a fresh start by having their unsecured debts eliminated. Income and assets play a role in determining if Chapter 7 is right for you. Therefore, it is important to seek out advice form a professional as opposed to relying on what you’ve heard from family and friends. Over the years, we have heard countless misconceptions regarding Chapter 7 and below you will learn the truth. 1st Myth: If I file for bankruptcy, I will never be able to get credit again. The Truth: Filing bankruptcy does stay on your credit report for up to 10 years. However, for most people their credit score actually improves the year after filing. Many find that they get offers for cars and credit cards very quickly. The trick is to be smart when applying for new credit. 2nd Myth:	If I file for Chapter 7, I will lose my house or car. The Truth: So long as you are willing to continue to make your payments and the value of your house or car after liabilities does not exceed allowed limits, you can still keep these items while eliminating credit cards, personal loans, and medical bills, to name a few. 3rd Myth:	I don’t have enough debt to be able to be able to file for Chapter 7 bankruptcy. The Truth: There is no minimum or maximum amount of debt that can be filed in a Chapter 7. What matters is the amount of debt you have versus your income. Whether you have $5,000 or $50,000 in debt the key is figuring out realistically how long it will take you to become debt free. If you don’t see an end in sight, it might be time to talk to someone. The Truth: Bottom line is that the only person you should be listening to about bankruptcy is a bankruptcy professional. We all love our friends and family. However, when it concerns your financial future it’s time to talk to an attorney. If you would like more information contact us at 312-767-0111, via email at News@zaplawfirm.com or on the web at ZAPBillsNow.com.